One of the macro-trends driving a dramatic shift in lifestyle towards 2025 is the growth of the 'Access Economy'. Goods and services are rented temporarily rather than being sold permanently. Younger generations especially recognise the merits of owning less, yet having access to more products and services than ever before. From the green-conscious user’s perspective, this keeps fewer products in circulation for longer and with higher rates of usage. Why does that matter? In the UK, the average car is only used 5% of the time. For 95% of its life, it remains parked. Wouldn’t it be better to have fewer cars manufactured, shared, and used more of the time? And for the driver, accessing a car means users no longer have the responsibility and fixed costs of maintaining it – plus they get the chance to drive different vehicles as their needs (or wants) change. Along with this on-demand or 'subscription' lifestyle comes a new way of administering usage which accounts for these new norms of (un)ownership. In the UK, the DVLA is the record keeper of vehicle ownership. 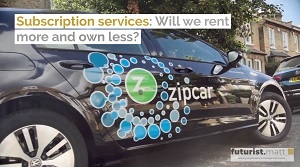 Under Access Economy norms, administration of the DVLA relationship is handled by the service provider - one example being Zipcar. Customers, meanwhile, have a simple contract and app. In this article, we'll address the move away from traditional ownership models towards subscription, rental and usage. What do younger generations expect from their housing? Home ownership over the past 35 years has dropped significantly, particularly among so-called 'Millennials'. In part, this is due to rising housing prices and lower / stagnant wages. Despite this, housing in the UK is less affordable than ever. Younger generations also elect to live their lives with more flexibility and freedom. 'Digital Nomads' - those who use technology to make a living while moving from one location to another, are a growing demographic. Pieter Levels forecasts a world where 1 billion people live and work this way by 2035. In part, this is fueled by the rise of freelance working, where people are not tethered to a physical office in order to make ends meet. According to a study by the US Freelancers’ union and Upwork, over 50% of Americans will be working as contingent labour by 2027. I'd caution that these institutions have agendas in supporting the trend, but full-time employment will clearly continue to be eroded for a wide range of reasons. Younger people are entering a world of accelerated change. 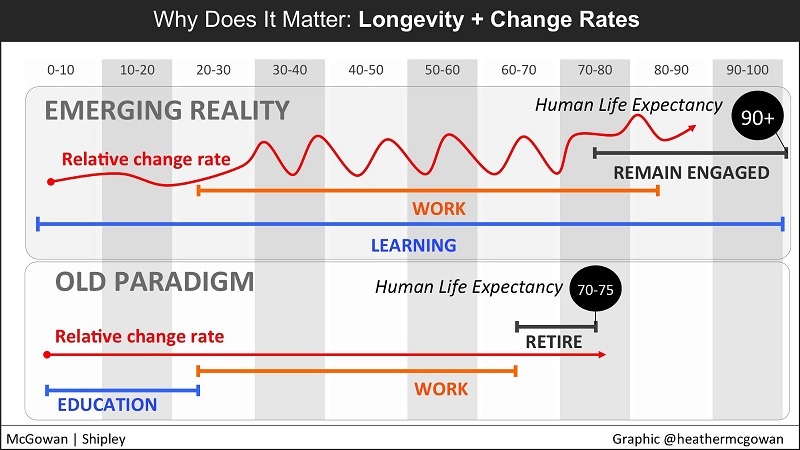 Life expectancy is set to rise and continuous learning is the new normal. As the “job for life” paradigm dies, so will the need for increased mobility to find new work. Traditional paradigms of home ownership could shift as the need for more transitory accommodation grows. Note 'relative change' in this graphic by Heather McGowan. In part, the change is technological, but the desire for impactful, meaningful work will undoubtedly drive increased mobility going forward. The number of people seeking to live in city centres across the UK continues to increase. With greater population density and finite physical space, new ideas are emerging around how people will live together. 'Co-living’ is a modern form of housing where residents share living space and a set of interests, values, and/or intentions. It’s a new take on an old idea, imagined by a millennial generation that values things like openness and collaboration, social networking, and the sharing economy.' Unlike 1960s communes which often aimed to move away from mainstream society, these new living arrangements seek to integrate more people, more effectively. Seoul, Korea: Sillim-dong Share House - Purpose built shared housing which maximises space, sunlight, affordability, privacy and shared space. Aarhus, Denmark: Saltholmsgade - A reimagining of social housing which integrates green space throughout the building exterior. Conceptual: Customised Micro-Apartments - Allows residents to reconfigure rooms according to need. Hong Kong, China: Plug and Play Housing (conceptual) where apartments are stacked rather than horizontal layouts. Thailand: Impermanent, portable housing to make use of unused buildings such as warehouses. Again, conceptual - but a good way to use temporary space. Forward-thinking businesses are also now catering for a growing need for shared living spaces. The Collective (UK) and WeLive (US) offer shared living with flexibility without the commitment of long term leases, paying sizeable deposits or even buying furniture. Prices range between UK£1000 - £3000PCM. This type of living arrangement could be part of an answer to the growth of loneliness and an increase in flexible working arrangements. As mentioned earlier, 'Gig working' in on the rise. The gig economy is a type of on-demand, peer-to-peer economy for labour. Mediators of work such as Upwork and PeopleperHour share similar characteristics, namely a ratings-based marketplace as well as online/app-based forms of payment. 'Taskers' (those with services to offer) can earn money on a schedule they choose and tend not to have a full-time, specific position. Many white collar tasks are delivered digitally and the rise in near free, quality communication channels plays a huge part in the rise of this trend. Regardless of contractual arrangements, remote working is on the rise. And much of that will take place from where many people call 'home'. We already collaborate using file-sharing services like Dropbox and Google Drive. For communication, WebEx and Zoom are mainstays of web conferencing. The future of remote working could well include greater use of Virtual Reality. Unlike those dull teleconference type meetings, people will be able to meet in fully immersive 3d spaces to collaborate together. 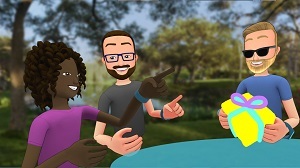 While still fairly conceptual, Facebook Spaces shows significant promise here due to its ubiquity and brand recognition. Let's not underestimate VR's impact as we head towards 2025. According to a report by Grand View Research, the global market for Virtual Reality is set to rise from US$62.1m in 2014 to US$48.5bn by 2025. VR for home working is definitely a trend to watch! 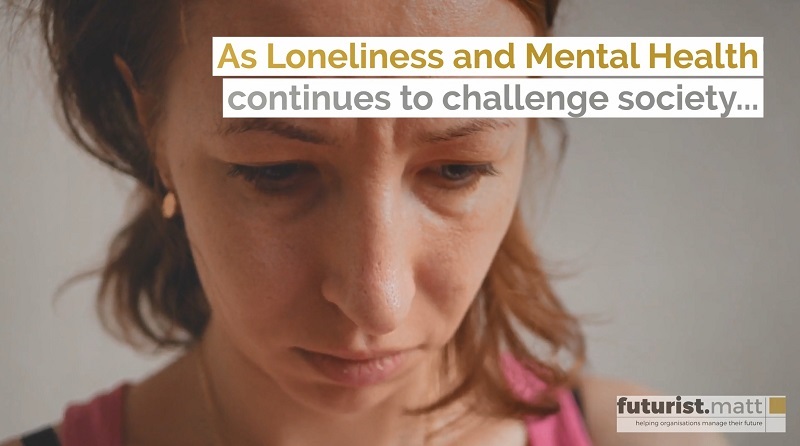 In 2016 to 2017, 5% of adults in England reported feeling lonely “often” or “always”. 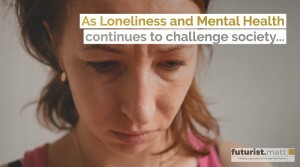 Younger adults aged 16 to 24 years reported feeling lonely more often than those in older age groups. Women reported feeling lonely more often than men. Those single or widowed were at particular risk of experiencing loneliness more often. People in poor health or who have conditions they describe as “limiting” were also at particular risk of feeling lonely more often. Renters reported feeling lonely more often than homeowners. People who feel that they belong less strongly to their neighbourhood reported feeling lonely more often. People who have little trust of others in their local area reported feeling lonely more often. One aspect surprised me more than the others; namely, the number of 16-24 year olds who reported feeling lonely 'often' or 'always'. While the Internet has made knowledge of the world available to anyone with a smartphone, social media has connected us to the ups and downs of people exactly like us across the world – but through the prism of their social aspirations. A side effect of excessive social network usage is negative social comparison; and by extension, loneliness. Suicide rates in young people are up over 30% between 2010 and 2017 - a worrying statistic. Dopamine-driven feedback loops are created by social media. Communication through likes & upvotes creates patterns similar to those in gambling and only serves to perpetuate loneliness. After all, having 500 friends on Facebook is entirely divorced from the paralinguistic cues we get (and which nurture our wellbeing) from face-to-face interaction. One solution being proposed is more use of Virtual Reality as it would enable a closer version of face-to-face interaction. As VR grows in sophistication, this makes sense. It's certainly more realistic than expecting people to quit social media completely. The estimated number of centenarians has more than quadrupled from 3,000 in 1983 to 14,500 in 2016. The UK's Office for National Statistics forecasts that a baby born today has a 1 in 3 chance of living to 100 years old. Going several steps further, some from the longevity movement forecast that the first person to live to 1000 years old has already been born. If that thought intrigues you, check out 'The Abolition of Ageing', a book by David Wood. In it, he puts forward the case for why this is a good thing. Smart locks: Locks that monitor opening and closing of doors. Alarms can be set to trigger themselves if doors are opened at unusual times. Motion sensors: Installed in homes, these sensors will switch lights on when a person walks by. Wearable devices: Even a minor fall can be life-threatening. Devices can alert carers and include GPS tracking to help find people in trouble. Security cameras: To watch for people wandering out of safe areas. Smart sensors: Devices that warn relatives/carers if devices are left on too long. Also empowered to disconnect them. While smart technologies can prolong independent living, we'll see the birth of a new job family: ageing specialists. This will include a range of new jobs from age-specialist architects through to consultant carers who work with older people to design their lives to facilitate a better quality of life using new technologies. Japan leads the way here, with homecare robots that not only care for the elderly but also encourage an active lifestyle too. When these technologies (or ‘domotics’) are fully integrated into a smart home, they can be life-changing for older people, especially in helping them prolong their independence. In part 2 of this series, we looked at toilets which analyse our waste. But we can go further: when that data is integrated with other technologies, we can make exciting changes. Companies like Nutrino Health will combine nutritional data with insights from our activity and sleep habits, stress levels etc. and design personalised food plans to optimise our health and energy levels. In time, they'll even feed this information into 3d food printers to ensure precision micronutrients are infused into our diets. While technology offers us new options, we continue to learn more about traditional food too. Take Adaptogenic plants and herbs, for example. They are being shown to balance hormones, help us manage stress and regulate our systems according to need in-the-moment. My point is, the future of food should also be sympathetic to our past if we are going to maximise the nutritional benefits. Our homes will also come to monitor our mental health too. Smart homes could help with the socialisation of those living with Schizophrenia. Additionally, there are potential innovations around Depersonalisation Disorder - where sufferers feel persistent disconnection or detachment from themselves, loved ones and their physical environment. It's estimated that 1.3m people in the UK and 6.4m in the US suffer. How can new technology help combat this? Well, while still conceptual, AWElectric has created a 'bioresponsive animatronic' jacket which inflates and stimulates 'goosebumps' on the wearer to amplify physical feeling based on sensor data. The New York Times even reported back in 2015 on how 40% of the population doesn't experience the sensation and how beneficial it can be for health. Sensing our emotions then actuating a physical response via clothing could be part of a range of therapeutic solutions. The rise of transitory living and changing values in young people is creating a new breed of entrepreneurial business offering subscription, rental and usage as opposed to ownership of products and services. Global mobility is set to rise, as is demand for urban, connected living. That's giving birth to new lifestyle models, driving change in housing architecture. Well evidenced by the rise of 'intentional co-living spaces'. The growth of home and freelance working promises new flexibility in our lives but threatens to further isolate us and increase the impact of loneliness. New technologies can support us as we continue to live longer. And the growth of ageing specialists will help us to live better and prolong our independence as we age, too. While technology can help us live more healthily, we should remain mindful about new ways to understand traditional foodstuffs. Interview with Meshminds.com – The Future for Digital Art? Virtual Reality: Enhancing reality, or redefining it completely?